Made from laser cut 5mm acrylic the twiggy tree is a great addition to wedding, christening or party. Not only does it provide a beautiful feature point but can be used to hang wishes or massages from to make a keep sake for you to cherish. 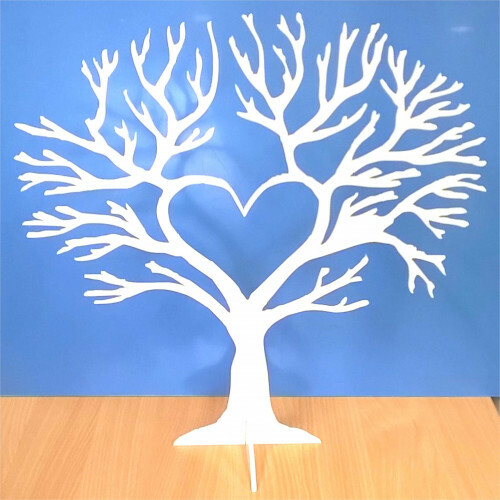 Overall size is approx 500mm wide by 500mm height and only 180mm depth when built up so it doesn't take up to much space and can be added to a top table at a wedding or a present table at a party!